Bhubaneswar:26/12/18: Odisha Chief Minister Naveen Patnaik will inaugurate the 26th National Children’s Science Congress (NCSS) on December 27 (Thursday) to be held at the Sikhya O Anusandhan (SOA) Deemed-to-be University in Odisha capital. Children between 10 and 17 years from across India and abroad will participate in the event to showcase their creativity. The purpose of the organising the event is to encourage a sense of discovery among the children, said SOA Vice-Chancellor Prof Amit Banerjee. “Children from 10 ASEAN and five gulf countries are expected to attend the programme organised by the Department of Science and Technology, Government of India. The SOA is hosting the programme for the first time and we are trying our best to make it a grand success,” Banerjee added. 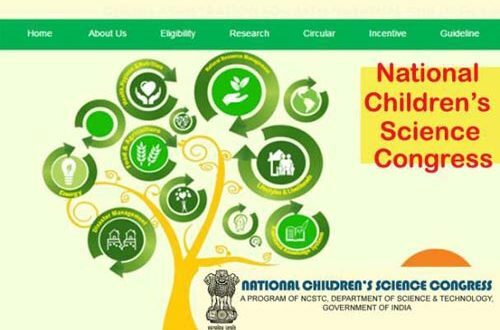 The event supported by the National Council for Science and Technology (NCSTC) aims at providing a platform to children for displaying their innovations in science and and also learn fromothers’ great ideas. The children, in the age group of 10 to 17 years, drawn both from the formal school system as well as from those who are out of school or differently able, will attend the event catalysed and supported by the National Council for Science and Technology Communication (NCSTC) which is mandated to communicate science and technology to the masses, stimulate scientific and technological temper and coordinate such efforts across the country.